Talking to your teen is often challenging in the first place, and bringing up a touchy subject such as depression makes it even more difficult. 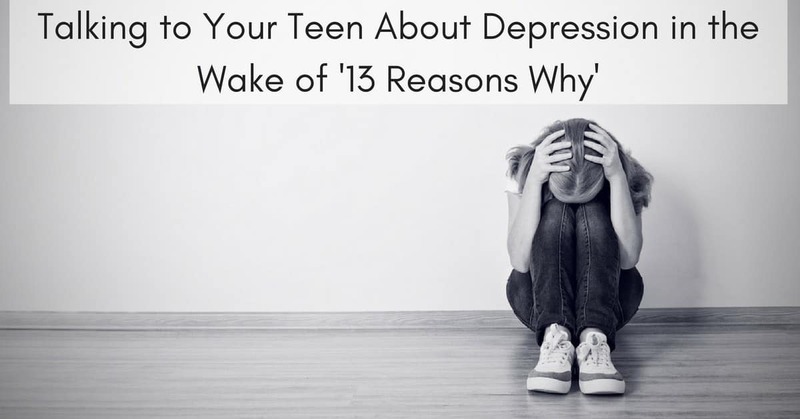 At the same time, many parents rightfully feel it’s necessary to discuss what the media is saying about these types of issues, especially now that the new Netflix series 13 Reasons Why has put this conversation right at the front of many parents’ minds. Before you try to talk to your child about the themes in the show, however, carefully consider these suggestions about the best ways to keep your child engaged in and open to the conversation. Do not make your child feel as if she is guilty. A common mistake that parents make when they talk to teens is using a fearful tone. This communicates to your child that you think she is going to make decisions similar to the ones made in the show. Do let your child know how much you trust her. Preface your conversation by telling your child that you are not worried about her and that you know she will make the right choices. Not only does this open your teen up to a conversation, but it also helps reassure her that she will make the right decision. Do not just talk about the show. A conversation centered around 13 Reasons Why can give your child the impression that depression and suicide are fictional issues that can only be discussed in the context of a TV show. Also, entering a negative conversation about your child’s favorite show may make her defensive and less open to a discussion about the dangers of depression. Do include real-life examples in your conversation, and make sure you stress the fact that 13 Reasons Why is not the only cause for your concern. Do not have only one conversation about depression. Parents may be tempted to address this issue and then cross it off the list. Of course, it is an uncomfortable issue for both sides, but your teen will be growing and changing a lot during these next few years, and one conversation isn’t enough to keep up with her needs. Do make it an ongoing dialogue. Check in with your child occasionally, but not too often, to account for any changes in situations or attitudes that may have occurred. It is especially important to readdress these issues after a big event or life change, such as a graduation or a relocation. If you keep these ideas in mind, your conversation with your child will go smoothly and be beneficial for both of you. Avoiding the pitfalls can keep your teen open and willing to speak with you. In the long run, talking about depression may be difficult, but it is one of the most important tasks of being a parent in today’s world.